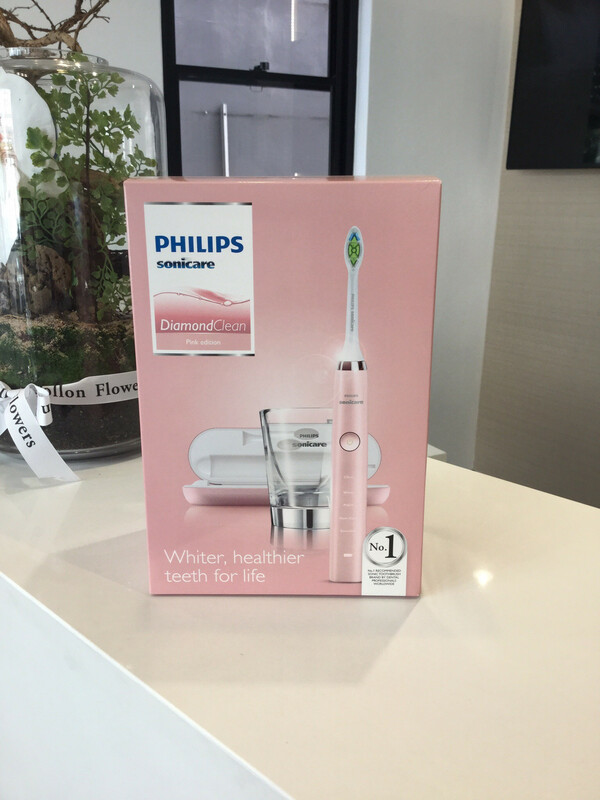 Philips Sonicare Diamond Clean in pink is a stylish brush with a hint of pink. Gentle thorough cleaning of your teeth keeps your gums pink and healthy too! Philips Sonicare range of toothbrushes gently clean your teeth with a sonic vibration of the bristles. The sonic pulses help to remove plaque even beyond the tip of the bristles. The diamond clean brush comes with a wireless charging glass and a separate travel charger. This tasteful pink brush, with clean lines will suit any stylish bathroom, adding some feminine style. Most importantly it will leave your teeth clean and gums healthy. The Philips Sonicare Diamond Clean range has a 5 different cleaning functions to clean, whiten, improve gum health and polish the teeth. There is also a sensitive mode for those with sensitive teeth. The gentle vibration helps to remove and disrupt plaque from the teeth and pushes water between and around the teeth for a gentle thorough clean. A built in timer ensures you are brushing for the correct time, with pacing to notify you when to move to different areas in the mouth.